This year, it will be ten years since we first released the RM921 Fully Managed Layer 2/3 Ethernet switch. The RM921 was (and still is) a revolutionary design for front panel VME switches offering up to 24 ports and supporting a variety of Ethernet media and performance including 1000BaseT copper, Gigabit Ethernet fiber and 100Mbit fiber. Customers can order the product to support only one or all media types in one switch. Moreover, the RM921 is one of many Abaco switches that feature our in-house OpenWare switch management software, to which we have made many enhancements since it was introduced 15 years ago. It delivers enormous flexibility to our customers in terms of how they can configure and manage their networks, and enables them to solve networking problems that would otherwise be intractable. Perhaps the single best testament to how ground-breaking the RM921 was all those years ago is that, now, many thousands of RM921s have been deployed worldwide. The largest user is the U.S. Navy, and we continue to receive orders for new programs. The RM921 has gone through a number of evolutionary design updates to incorporate specific customer requirements. The RM921 series became the RM921N family when we made a number of hardware enhancements, including support of 100Mbit fiber to allow connectivity to legacy networks where 100Mbit fiber had already been installed. We also started to offer our customers industrial operating temperature variants, maximizing the RM921N’s cost-effectiveness. Also provided was the capability to remove from the switch—via a daughter card—sensitive information regarding switch configuration and log files. And, just as the hardware has developed in line with changing customer needs, so too has the OpenWare switch management software. New protocols have been added to the list of those supported, and many other enhancements have been made too. Today, the RM921/RM921N has become the RM921NB. Importantly, over the years, we’ve been able to protect our customers’ initial investment—something that is a fundamental design goal of all Abaco products. The new version includes a replacement for the now-obsolete switch management daughter card—so our customers can still, in effect, acquire the RM921 with the same exact port configuration as they had previously, thus eliminating concerns with product configuration or potential cabling issues. In parallel, the OpenWare software has undergone a continuous process of enhancement, providing additional features (including many security updates) while maintaining similar operation to the original switch. We expect the RM921NB family to continue the availability of the RM921 product concept many years into the future, thus extending its legacy of having successfully supported our customers’ needs for the past decade. 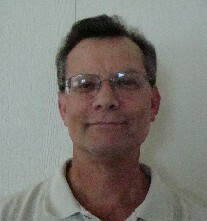 Richard is a 40-year veteran of the embedded computing industry. Having graduated from UCLA with a Bachelor of Arts degree in Economics, he joined Motorola before moving on to RAMIX, who were acquired by GE in 2003. He is now product manager for Abaco's networks and communications product line.